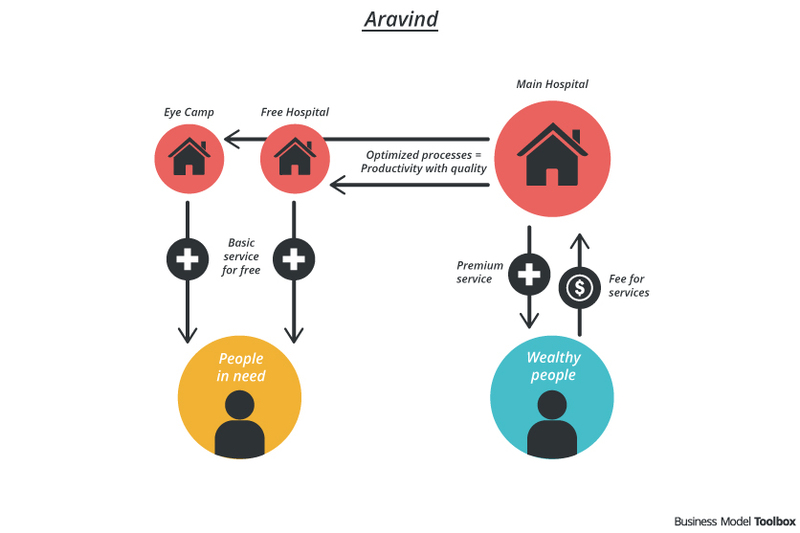 Aravind Eye Hospital delivers high-quality, low cost ophthalmological care to some of India’s poorest people by focusing on the basic value proposition and by cross-financing the service through high-class offerings. In 1976, Dr. G. Venkataswamy, or Dr. V. retired from performing eye surgery in Government Hospital in South India and decided to devote his remaining years to eliminate needless blindness among Indian populations. He established an 11-bed hospital with six beds reserved for patients who could not pay and give for those who would pay modest rates. He persuaded his siblings to join him in mortgaging their houses, pooling their savings and pawning their jewels to build it. Today, the Aravind Eye Care System is a network of hospitals, clinics, community outreach efforts, factories, and research and training institutes in south India that has treated more than 32 million patients and has performed 4 million surgeries. Currently Aravind is planning to export their business model to Nigeria. Aravind Eye Care, the largest and most productive eye care facility in the world, offers free eye care and surgery to 70% of its patients. Therefore they run two different kinds of hospitals – the Main Hospital and the Free Hospital. The Free Hospital focuses on offering basic but quality service for people in need: No bed is provided to the patients but a small pillow and a coir mat. The Main Hospital functions like a regular ophthalmology hospital. All patients admitted here pay for the hospital’s services. The hospital offers different classes of rooms with different levels of privacy and comfort. Treatment performed in the Main Hospital varies from simple treatments to extremely complex surgeries like retina detachment repair. Established in 1976, Dr. Venkataswamy started Aravind Eye Hospital with the mission to eliminate needless blindness. By adopting an efficient operation procedure like a fast-food chain assembly line, Aravind manages to keep its cost low without compromising the quality. 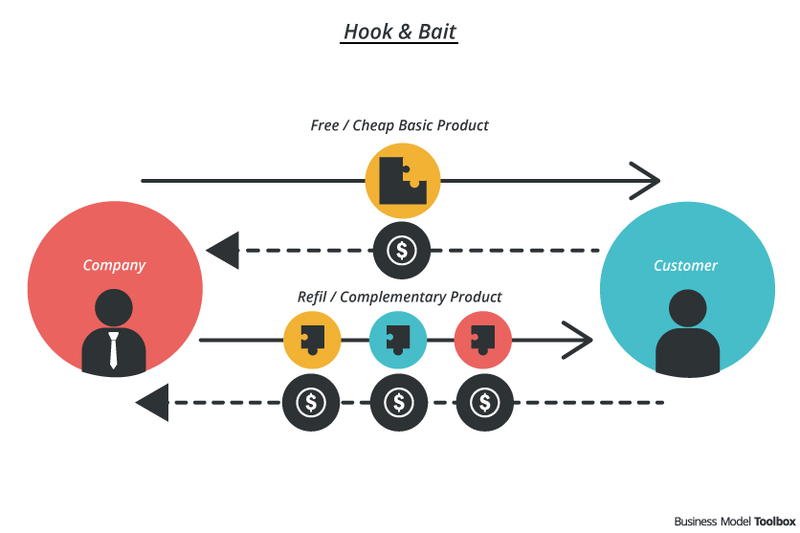 A majority of its services is done free of charge. Aravind does 60% more eye surgeries than the UK National Health System, at one-thousandth of the cost. Efficient operation procedures and a high volume of patients enable this. The hospitals operate like an assembly line with a minimum turnaround time. 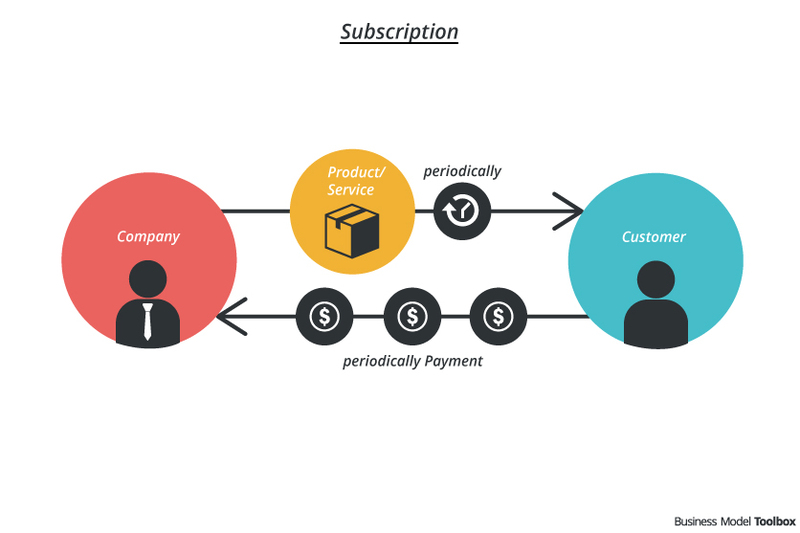 (No-Frill Business Model). This ensures the surgeons to be able to carry out a significantly larger number of surgeries than is possible normally. Batches of patients would be prepared before surgery and bandaged afterwards by Aravind-trained nurses. After completed surgery, surgeons immediately move to the next operating table where a second support team is waiting with the patient ready to be operated. This results in tremendous efficiency. Aravind doctors can do more than 2,000 surgeries a year, while the average at other Indian hospitals is around 300. To support the high volume, Aravind reaches the masses through eye camps, which take place in rural and semi-urban areas. At the camp, patients are screened and those found suitable for surgery are prepared. Another major factor that bring down costs significantly is that Aravind has its own factory producing intraocular lenses. “Aravind is not just a health success, it is a financial success. Many health non-profits in developing countries rely on government help or donations, but Aravind’s core services are sustainable.” NY times Opinioator: A Hospital Network with a Vision. Efficiency resulting from the innovation operation procedure is definitely a key strength of Aravind Eye Care. In addition, “it is not leadership in the sense of organizing and making it work. It’s leadership that comes from empathizing with the community,” Dr. Venkataswamy said in an interview with the NY Times. “Never restrict demand. Build your capacity to meet the demand.” The Aravind Eye Care network includes five hospitals, a manufacturing site for ophthalmic products, a research foundation and a training center. Transportation is a problem for some of the selected patients from eye camps. They may not be able to travel to the hospital for surgery or to stay away from home for long periods, hence lead to a drop in the number of patients accepting surgery. The flow of patients would be much larger immediately after an eye camp and being much less at other times. The hospital was overcrowded while it operated much below is capacity at other times. Patients are required to come to the hospital for treatment. The camp could not be conducted at a location that was very far from the hospitals. Enable longer economic productivity in poor regions by improving health condition (vision).